THOR IW-SUB10 - The most powerful in-wall subwoofer on the market! Earthquakes Thor In-wall subwoofer fills a long-awaited space in the Inwall market segment and distinguishes itself by being the only inwall subwoofer with 20 Hz response. 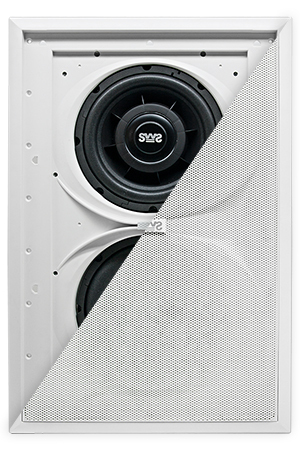 The Thor IW10 in-wall Subwoofer features a unique sealed box design that is only 9cm deep. 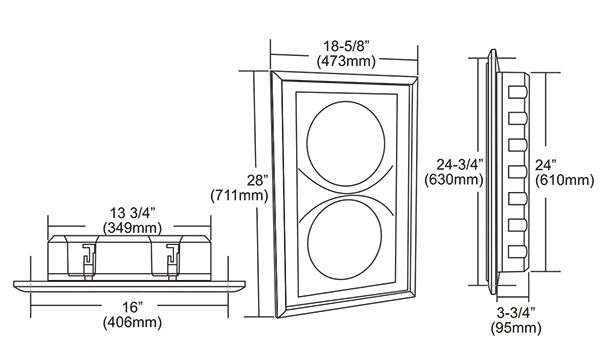 It does not load the wall cavity like traditional in-wall subwoofers. It is an easy install with no guesswork on part of the installer. Thundering bass down to 20 HZ and discreet flexible design. Both a metal grill and frames for fabric grills are provided so a perfect custom integration can be accomplished with no extra expense. The Thor Sub can also be mounted in the ceiling or on the underside of furniture.